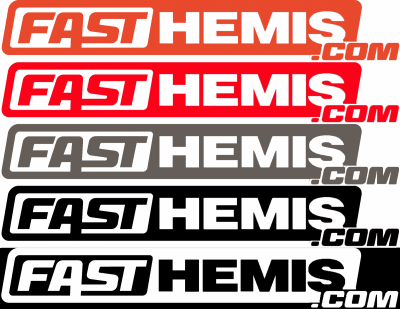 FastHemis.com stickers are now available in multiple colors. Represent your favorite Hemi parts company! Available in Hemi Orange, PC Purple, Red, Silver, Matte Black and White. Includes (2) colored vinyls (7" X 1"). FastHemis.com stickers are now available in multiple colors. Represent your favorite Hemi Parts Company with FastHemis.com stickers (vinyls)! Vinyls (stickers) available in Orange, Purple, Red, Silver, Matte Black, White, Sublime Green, Plum Crazy Purple, Yellow Jacket. Includes (2) colored vinyls (7" X 1"). We definitely appreciate your business and your support!